A young boy silently sketches out the forms of the horrors that dwell in his mind. During this adventure into the occult and mysterious, he tells tales that involve dreams of a person with a muscular arm that you must not look at, a hospital with a room that holds a grim secret, and a visit to an eerily silent taxidermy museum. These tales and more are compiled in Yami Shibai 3. 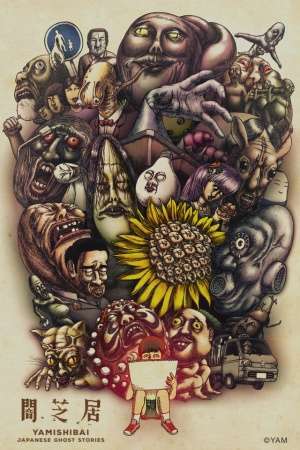 Presented in an art style similar to kamishibai storytelling, this horror series stays true to the gruesome and creepy trend that is prominent in Yami Shibai and Yami Shibai 2nd Season.